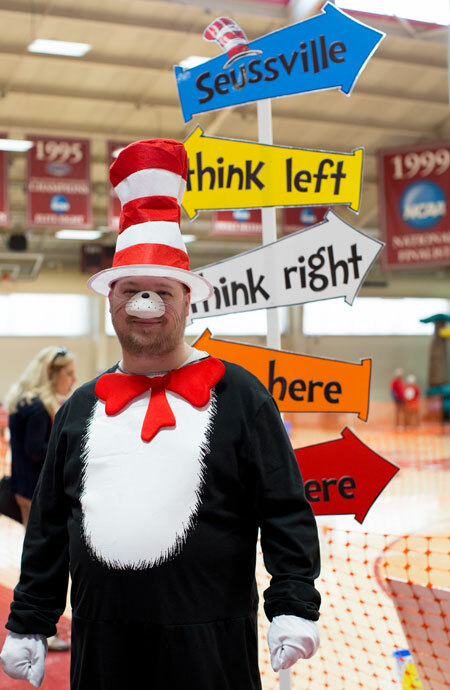 More than 1,100 second-grade students from Prince Edward, Cumberland and Buckingham - along with those from surrounding school divisions - attended the inaugural Dr. Seuss Birthday Bash on Tuesday at Hampden-Sydney College (H-SC). 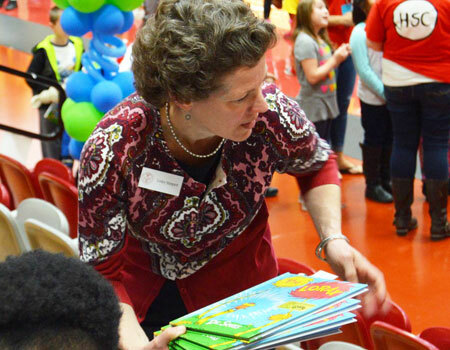 The event included each student receiving a Dr. Seuss book of their choice with a bookmark inside signed by some of the college's student-athletes. Other activities afforded to the students included a bounce house, an obstacle course and two activity stations where children played Lorax - an aptly renamed version of the basketball game Horse. H-SC Director of College Events Cameron Cary, who coordinated the event, said the college invited every county that joins Prince Edward. "We kind of ran out of time and didn't get home-schooled children, which we will open that up to probably next year, and any of the church-based schools, we didn't get that far," she said. "This is much larger than anything we've ever done before. We used to just go to Prince Edward County and do it in their library. (Lesley) Stimpert is a children's librarian, so she kind of wanted to do something different." 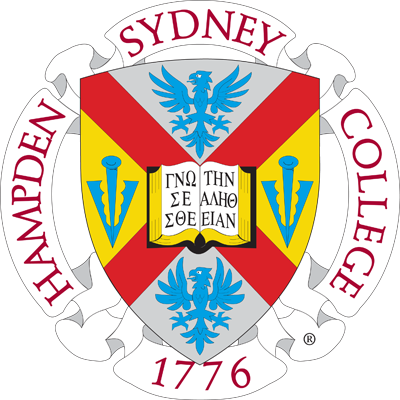 "It's all about fun," said Lesley, the wife of H-SC President Dr. Larry Stimpert. 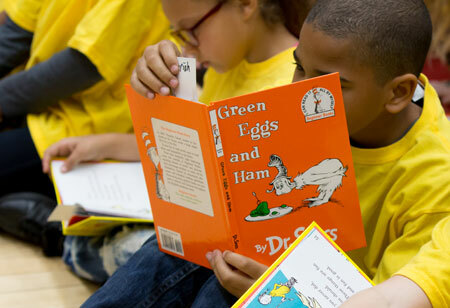 Lesley said helping area schools celebrate Dr. Seuss' birthday was a transition from the literacy program started by former H-SC president Walter M. Bortz, whose presidency spanned from 2000 to 2009. "They gave out dictionaries to second-graders, and that's been going on until Larry started his presidency," Lesley said. "I'm a librarian, and we didn't want to give dictionaries anymore. We wanted to give books that (students) can actually take and read and reread and get excited about literacy. So, this is all new because of that." Lesley said organizers wanted to keep hosting the Dr. Seuss event annually but that they'd assess and receive feedback to make sure everything worked out. "It looks like everyone's having a good time, but there's always behind-the-scenes type things that you wonder, maybe tweak it a little bit," Lesley said. Buckingham County Primary School Principal Angela Patterson-Jones said she was glad the students had the opportunity to attend the birthday bash and that while she did not attend the field trip, she was very excited to hear the students had a great time. "The students will never forget this," Patterson-Jones said. "I want the students to experience and be exposed to these wonderful things. It is a powerful thing for young children to see a college campus." Patterson-Jones said it was important to plant the seeds of hope and ambition that will produce the leaders of tomorrow. 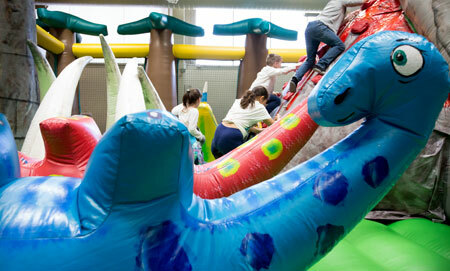 The event was held at the Kirby Field House on H-SC's campus from 10 a.m.-noon. According to H-SC spokeswoman Parker Nixon, schools that attended the event included Prince Edward Elementary, Buckingham Primary, Cumberland Elementary, Fuqua, Kenbridge and Victoria Elementary, Bacon District Elementary, Eureka and Phenix Elementary schools, Blackstone Primary and Crewe Primary schools and Amelia Elementary. Nixon said Wal-Mart donated juice boxes and McDonald's donated apple slices. The college provided cupcakes, prizes, Dr. Seuss books and bookmarks.